The National History Center held a Congressional briefing on U.S.-China relations on Monday, March 27, at 10 a.m. in the Cannon House Office Building, Room 122, Washington, DC. You can read Dane Kennedy’s recap of the briefing “US-China Diplomacy: Historical Perspectives on Challenges Confronting the People’s Republic,” on AHA Today. When President Donald Trump hosts President Xi Jinping at his Florida resort next month, the two leaders are sure to address tensions between the United States and China over issues such as trade, North Korea, the One China policy, and China’s military buildup in the South China Sea. This is a timely occasion to consider the historical roots of these tensions and reflect more broadly on what the past can tell us about the likely outcome of the upcoming talks. This briefing by two of the leading American historians of China is intended to provide the context needed to make sense of current US-China relations. 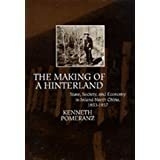 Kenneth Pomeranz is University Professor in History and the College at the University of Chicago, and was President of the American Historical Association in 2013-14. 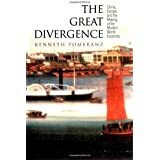 His publications include The Great Divergence: China, Europe, and the Making of the Modern World Economy, The Making of a Hinterland: State, Society and Economy in Inland North China, 1853‑1937, and several co-authored, edited, and co-edited volumes. He is a Fellow of the American Academy of Arts and Sciences, and has received fellowships from the Guggenheim Foundation, the American Philosophical Society, American Council of Learned Societies, Institute for Advanced Studies, National Endowment for the Humanities, and other sources. He is currently working on a book called Why Is China So Big? Jeffrey Wasserstrom is Chancellor’s Professor of History at UC Irvine, where he edits the Journal of Asian Studies and holds a courtesy affiliation with the Law School. 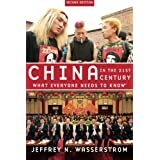 He has been traveling to China for thirty years and has written five books, including Student Protests in Twentieth-Century China (1992) and China in the 21st Century: What Everyone Needs to Know (2010 and 2013 editions). 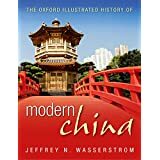 He has edited or coedited several books including, most recently, The Oxford Illustrated History of Modern China (2016). He holds an M.A. from Harvard and a PhD. from Berkeley, and before moving to UCI, he taught at Indiana University for fifteen years, where he served, successively, as Associate Editor of the American Historical Review and Director of the East Asian Studies Center, which secured a Title VI grant during his tenure. In addition to writing for academic journals he contributes regularly to many general interest venues, including the New York Times, the Wall Street Journal, Foreign Affairs, and Dissent. He has been interviewed on Morning Edition and other public radio programs and given orientation lectures for China-bound Fulbright scholars. James A. Millward is Professor of Intersocietal History at the Walsh School of Foreign Service and Department of History, Georgetown University. He teaches a variety of classes on Chinese, Central Asian and world history at undergraduate and graduate levels. His research interests focus on China and Central Eurasia including Mongolia, Tibet and especially Xinjiang, as well as the silk road more generally. He has written extensively on the Qing empire, Xinjiang, the silk road, and is currently studying cross-cultural exchange in a history of lute-type instruments across the Eurasian silk road and the world. He has served on the China and Inner Asia Council of the Association for Asian Studies (AAS), as well as on the Executive Board of the Central Eurasian Studies Society (CESS). He was president of CESS in 2010.